Firefighting is one of the world’s most dangerous jobs so your first qualification for the position is bravery. After that, the rest will be easy but there are still things you need to know before you can apply for a job. 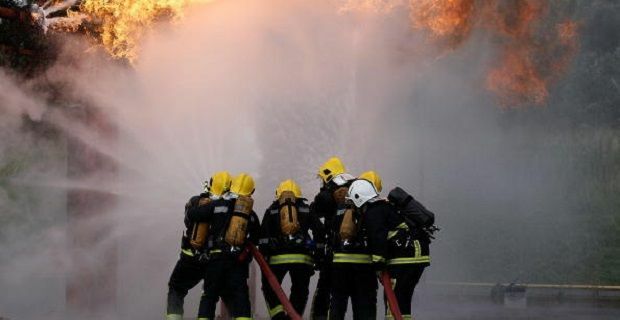 We’ll tell you how to become a firefighter in the UK and give you some useful pointers on where to look for your first job in the firefighting service. Although you’ll be aware of the main duty a fireman carries out, there are lots of responsibilities outside of responding to emergencies and putting out fires. This is a job that demands problem solving skills and intuition. Being calm under pressure and thinking clearly no matter what the situation are skills you will need to demonstrate when you attend a formal interview. Whether you’re tackling fires, rescuing people from burning buildings, dealing with chemical spillages or saving those trapped in road traffic accidents, this is a job that demands bravery that is tempered by a calm analytical demeanour. Interpersonal skills are also important because when you’re under pressure being able to communicate clearly could save lives. This is also a skill that is necessary when dealing with the public. Keeping them calm because you are under control can also save lives. Integrity, adaptability, resilience and confidence are other attributes you’ll need to become a successful firefighter. If all of that sounds a little overwhelming, don’t worry there is plenty of training before you’re let loose on the job. The training programme is continuous throughout your career and it involves exercises, practical training and lesson based learning. The programme is designed to prepare you both physically and mentally for the challenges of the role. The dedicated website for firemen in the UK, fireservice.co.uk, is a great place to check out now that you know a bit more about becoming a firefighter in the UK.